Add your Jira ticket reference & Gearset will automatically post updates to your Jira ticket & provide a direct link to your deployments. 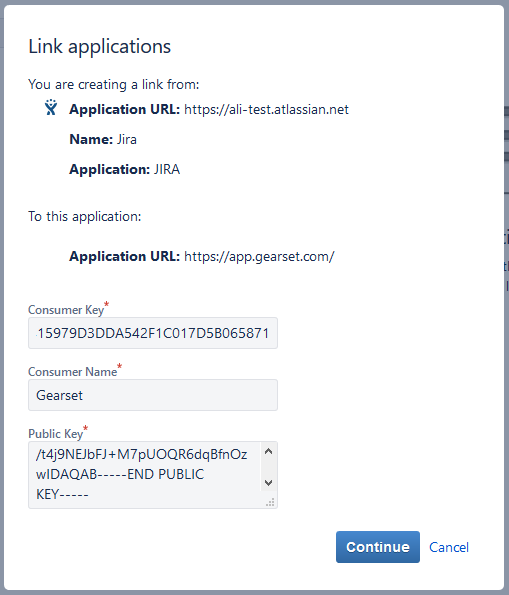 Gearset's Jira integration automatically posts updates to Jira tickets when you run validations and deployments, with a link back to the full report in Gearset. It makes tracking the status of your user stories and support tickets faster and easier. 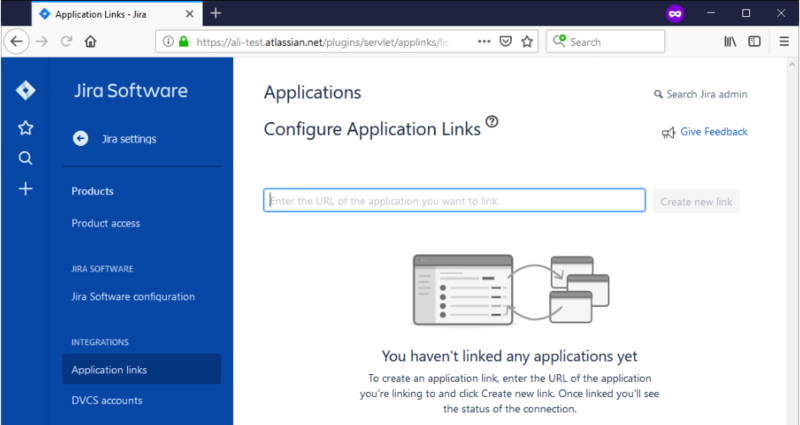 To get started, you’ll need your Jira administrator to create an application link in Jira itself and your team owner to authorize Gearset. This provides a mechanism for Gearset to authenticate against Jira in order to post updates to tickets, and only has to be completed once. 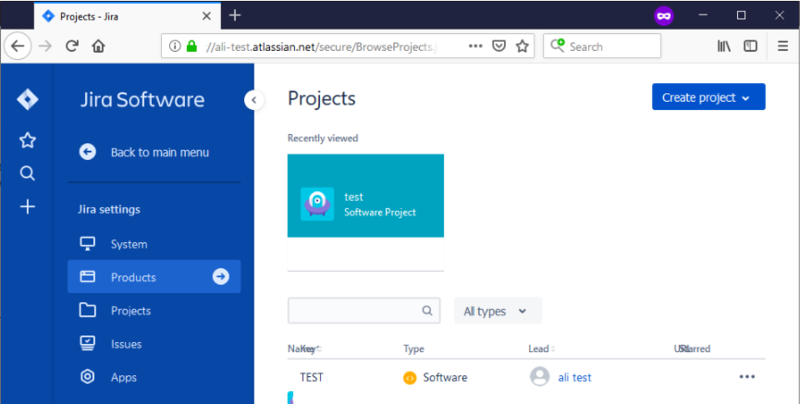 After this has been done, any subsequent users can set up a Jira connection in just a couple of clicks. 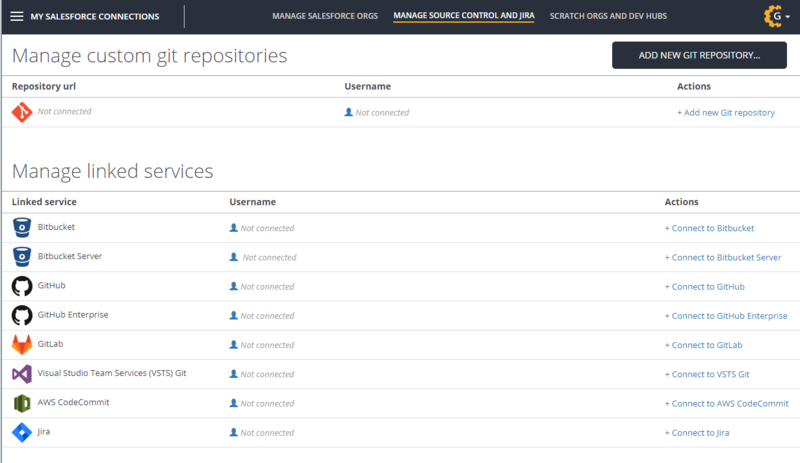 In Gearset, under Manage connections, click the Manage source control and Jira page. 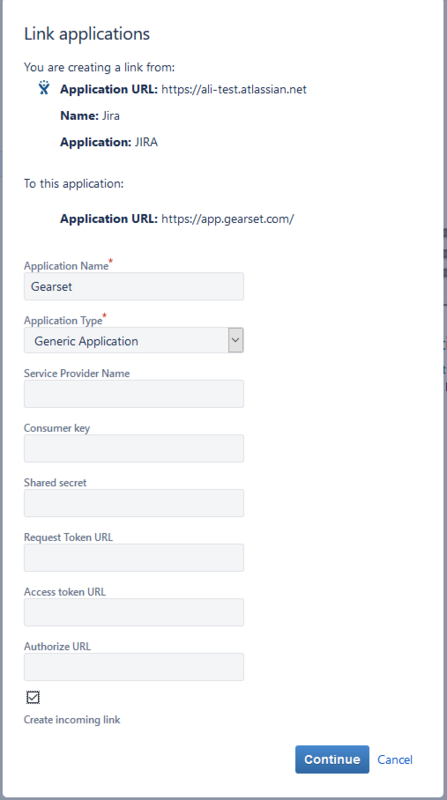 In the link applications dialog, fill in the application name and application type. It's important to leave the service provider name blank and to check create incoming link before clicking continue. 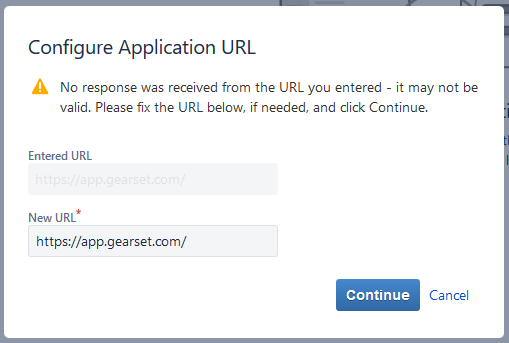 Once complete, Jira will redirect you back to Gearset. 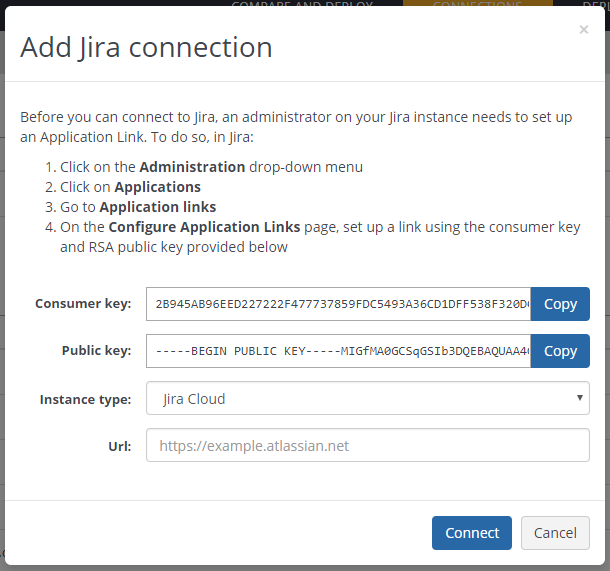 Once you have set up an application link in Jira, you and your team can start linking Jira tickets to your deployments and validations. For Gearset to automatically update your Jira ticket, simply add the Jira ticket reference before you deploy or run a validation. 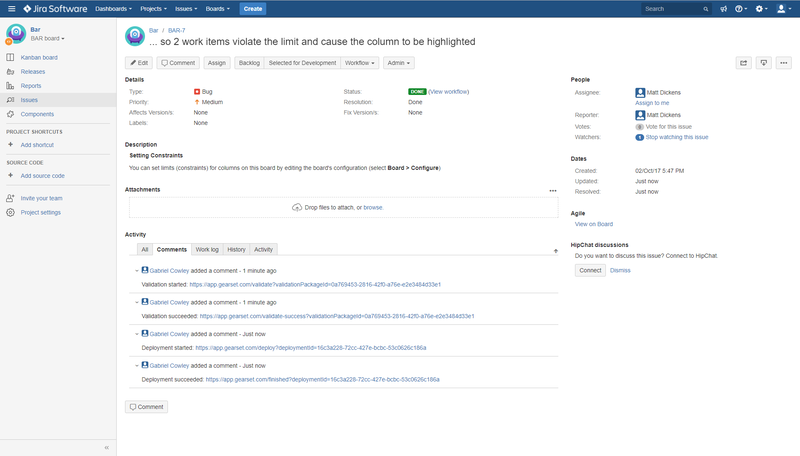 To link a Jira ticket, follow the usual comparison process, selecting which metadata items you would like to deploy or include in your validated package. Once the pre-deployment problem analysis has checked for any potential issues, you’ll be taken to the summary of objects to deploy page. Click on the Jira updates tab, add in your ticket reference, and you’re all set! From there you can either validate and schedule the deployment or deploy instantly as usual. Within Jira, any actions performed will have been automatically recorded for you in your Jira ticket. Any deployment notes added to your deployment will also appear as comments attached to your Jira ticket. 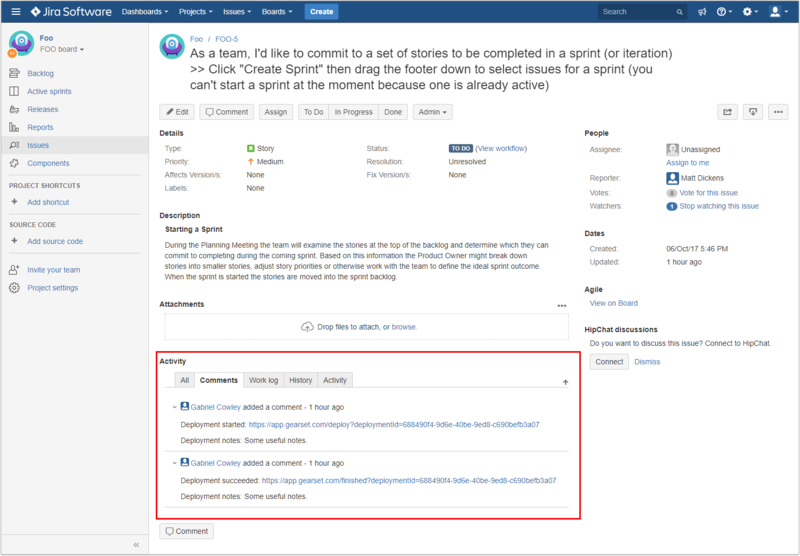 With this feature you’ll be able to see exactly what changes have been made at each step of the user story, making it easier to review changes and speed up your release cycles.